I've been covering the electric vehicle industry obsessively for several years now. I’ve published thousands of articles on this tech. Yet, a few old articles from years ago still stand out to me and repeatedly come to mind. As you can see, growth often seems tame at the beginning, but as soon as a certain level of popular awareness is reached and the right price point is met, Bam! As it turned out, after I presented the case that instant torque was the #1 reason electric cars would dominate the auto market, however, I read an article claiming that something else was the #1 reason. The article argued that it was actually the supreme convenience of electric cars that would be the #1 driver of large-scale EV adoption. It was a good argument, and I think it might be more compelling than the instant torque one. 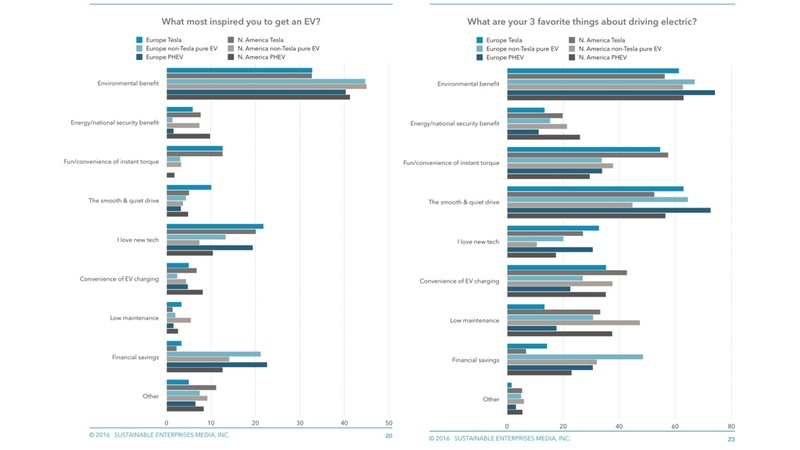 Additionally, I have been curious to examine whether EV owners give more value to the EV benefits mentioned above (or other benefits) after they get an EV compared to what they thought before they had one. In other words, if “instant torque” and “greater convenience” weren’t top reasons for buying an EV in the first place, did these factors climb to their top of the EV benefits list once they experienced life with an EV? Leaking some of our findings (the report isn’t yet published), I’ll share some results on these topics. 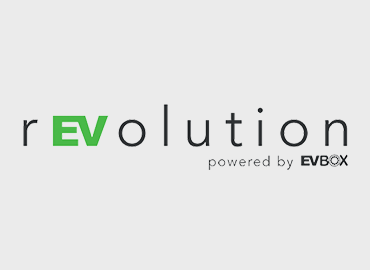 First of all, consistent with previous research (including research from EV-Box), the largest number of respondents indicated that the “environmental benefit” of electric cars was their main reason for getting an EV. However, many respondents brought an EV home primarily because of their love for new tech, the financial savings, the fun instant torque, or other reasons. Asking EV drivers what their 3 favorite things about driving electric were, I was able to further tease out love for the instant torque, the smooth and quiet drive, the convenience of home charging, and several other big benefits. It’s nice to see so many people are passionate enough about protecting our climate and air that they switched to EVs primarily to protect our environment, but I think we should all recognize that the percentage of the population that makes purchasing decisions based on that topic is fairly small. 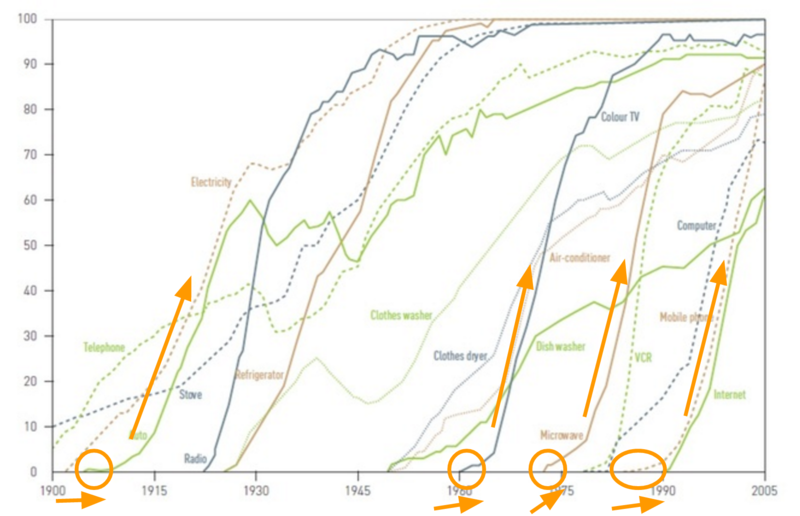 We need much more in order for electric cars to dominate the industry. Luckily, electric cars have so many strong user benefits that they should catch on quickly once the mass market becomes aware of these benefits. I doubt the “green” benefits will be the top advertising focus of electric car manufacturers for much longer, and as much as I think that’s a sad result of lack of foresight among the general populace, it’s a great thing, since that means electric cars will soon see the kind of dramatic market growth that we have seen other disruptive technologies achieve. I thought in the year 2000 that I’d never have a cell phone. I got one a few years later. 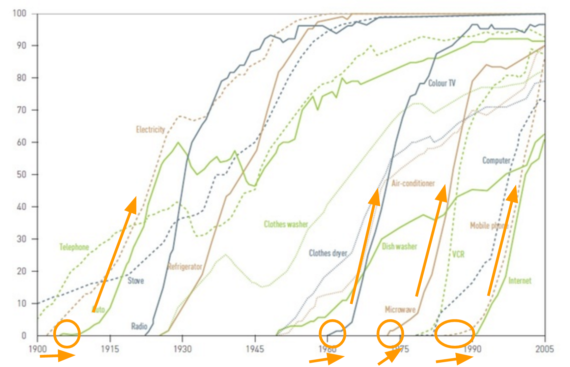 I imagine many people who today think they’ll never have an electric car will have one within the next 3–10 years. I can’t see any convincing reasons why they wouldn’t. Special thanks to Zachary Shahan for writing this guest blog post! Attend Zachary's keynote at rEVolution 2017.